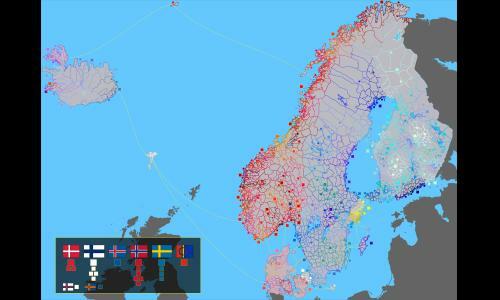 A detailed map of the Nordic Countries; Denmark, Finland, Iceland, Norway and Sweden. Review by Koen27 on 4/3/2019. some strang connections. But they are not annoying and make the game more challengibg.